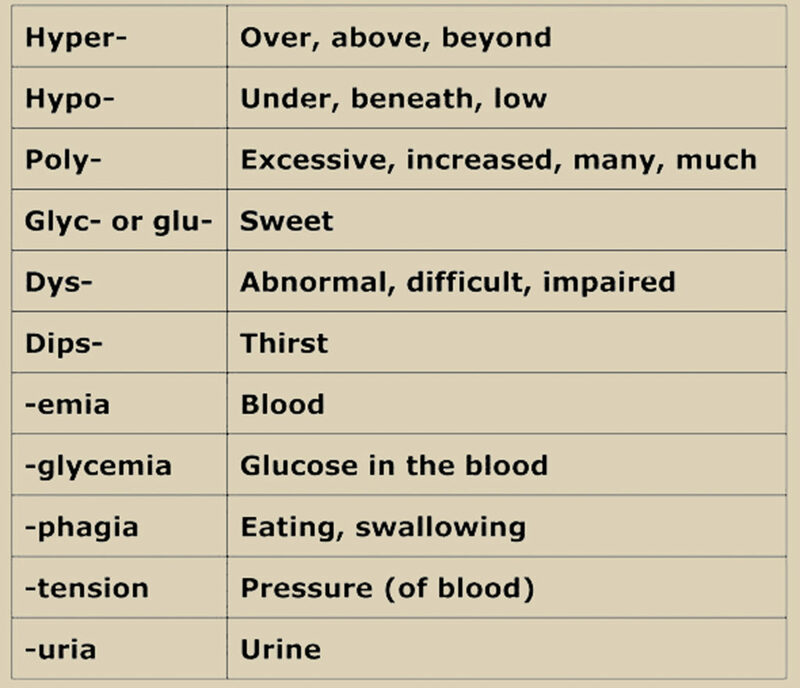 Our second ebook, Type 2 Diabetes, Risk Factors, Symptoms, and Diagnostic Tests, describes how diabetes words are formed. It’s much easier—and more fun—to piece together meanings than to try to memorize terms. One of our sources is an interesting website, Online Biology Dictionary (URL below).